Some parenting styles create more problems than they solve! Bringing up a child with autism can be challenging, and, in some cases, overwhelming. Children with autism don't communicate, play, or behave like their neurotypical peers, and their behaviors can be confusing, frustrating, or frankly upsetting to parents. At the same time, autistic children have strengths and abilities that can only emerge when a parent is tuned in and willing to engage in the way that works best for their child. This means that, when you have an autistic child, it's not always best to just go with what feels natural to you as a parent. You may need to modify your parenting style or natural preferences to meet your child's needs. 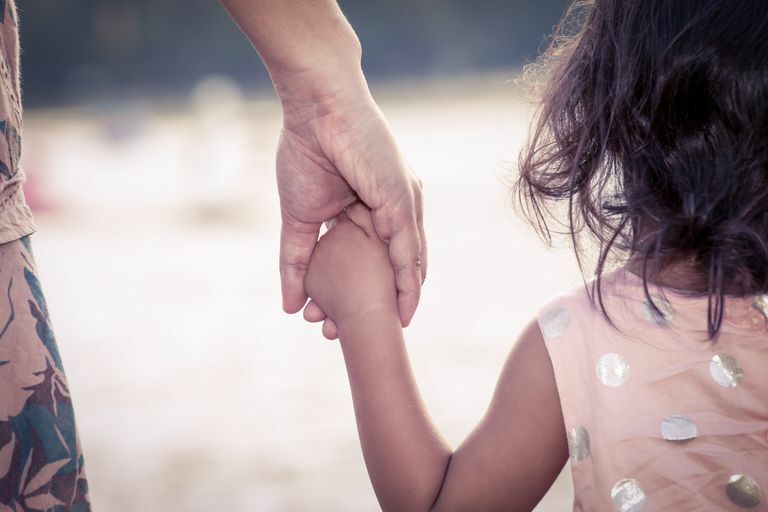 In other words, you may need to consciously avoid these parenting styles that can quickly undermine your relationship with your child on the autism spectrum. Helicopter parents hover over their children, watching and reacting to their every move. They leap in to help when a problem appears on the horizon; they intervene to smooth every path; they insist on special treatment for their progeny. Helicopter parenting is less than ideal for any child, as it makes independence and self-determination especially difficult to achieve. Parents of children with autism are prone to helicopter parenting because they worry that their child with autism will run into problems they can't resolve—and, of course, that's perfectly possible. But if helicopter parenting stunts the development of typical children, imagine what it does for children with autism. Unable to learn by observation and example, children with autism must learn through direct instruction and by actually doing. When you step in to do their work, you're denying your child the opportunity to understand what's needed, experience the challenge of trying, enjoy the thrill of success, or gain the knowledge developed through the process of failure. Any mother who's been part of a Mommy and Me group knows all about competitive parenting. Whose baby potty trained first? Said the first word? Is taking the most classes, learning to dance or sing, playing peewee soccer, or studying Chinese? When you have a child with autism, it can be hard to avoid feeling that your child is being left behind. But when you buy into competitive parenting, you are certain to develop a sense that your child is not up to par and that you, as a parent, are probably to blame. As you can imagine, the outcome is a feeling that neither you nor your child is good enough. The impact of such feelings on a child with autism may not be obvious, but they are real. Some parents believe that their child should be allowed to follow his own pursuits and interests without parental interference. That works well for certain typical children who are self-directed, self-motivated, and eager to interact with others. It's not, however, a very good choice for a child with autism. While every child certainly needs and deserves "down" time, children with autism really do need regular, focused parental engagement. That's because, in most cases, children with autism need your help to actively learn to pretend, socialize, converse, ask questions, and investigate the world. Without another person to help them build these critical skills, children with autism can become increasingly withdrawn and self-focused—and less capable or desirous of engaging in the wider world. They'll also have less opportunity to build on their strengths and achieve their own potential. Yes, some children thrive with parents who absolutely insist upon straight A's, top athletic performance, perfect grammar, and ideal table manners. Those children are unlikely to be autistic. The reality is that children with autism, while they may have many strengths, are likely to have a very tough time with many typical childhood expectations. Their verbal skills may be compromised, making high grades and perfect grammar almost impossible to achieve. They may have difficulty with physical coordination, making athletics particularly tough. Of course, it's important to have high expectations, even for a child with special needs, but make those expectations too high, and you and your child are in for tears and frustration. As the parent of a child with special needs, you may feel that your child should have no expectations placed on him when he's not at school or therapy. After all, it's tough for autistic kids to function in school, and she deserves a break. You may even feel it's unreasonable to ask your child to complete household tasks, learn to calm himself, or control his behavior. The unfortunate result of this kind of "do whatever you want" parenting teaches your child to learn habits and behaviors that will create serious problems down the line. Autism does make some things more difficult, but in almost every case children with autism can do a great deal if they are asked and encouraged to do so. When you set the bar low, or offer your child with autism too little discipline, you are actually making it more difficult for them to understand or live up to high expectations. Understanding your child's challenges is one thing; assuming your child to be incompetent is something very different. Since he woke up this morning, your preschooler with autism has had five hours of behavioral therapy, an hour apiece of speech and physical therapy, two hours of parent-guided play therapy, and four hours of school. As soon as he falls into an exhausted sleep, you jump on the Internet to find yet another therapeutic class, program, activity or resource to add to the schedule. With so much going on, your child with autism has no opportunity to practice what he's learned, to actually meet and get to know another child, or to simply do what children do: play! Rather than frantically searching for and engaging in therapies and activities, consider the possibility that a few hours a day of calm, unfocused parent-and-child time might be just the thing your child needs to grow and thrive. No parent is perfect, and parents of children with special needs are under more pressure than most. Some autism parents are coping with severe behavioral issues that can even be frightening. That means you may be more overwhelmed, tired, frustrated, or anxious than the average parent, and have fewer financial or emotional resources to bring to the table. When you're feeling overwhelmed, it's more than okay to reach out for respite or support, whether from other family member and friends or from local organizations that provide services to families with disabled members. Remember that, important as your child is, you also deserve time and care.